Check this page for latest updates on the trial phase of the East Pacific coastal forecasts between San Diego and Ecuador. For a full listing of all articles about this just put “NOAA” in the Search Box in the upper right of every page. We have now begun to circulate a FAQ for how to use the new forecasts, and what is expected from the team that is working towards an official launch on Dec 1, 2014. Have a boo here and please add your comments. Jim Corenman has implemented the codework so that you can begin receiving the new forecasts. How to do it is here. Southbound Evening Net recently provided a briefing note to the National Hurricane Center. The purpose of the note was to give a bit of a sense of “cruiser behaviors” on the West Coast of Mexico and south, especially regarding where they go and why during the cruising season. It can be found here. Below is a chronological list of updates on this NOAA project. Please let me know if there is anything you’d like to add, or complain about. As of March 17, the developers were hopeful that a stream of “experimental” forecasts would be ready for distribution by SailDocs. Once that process is underway it will be announced here. In the interim, they will be available on this website in an unedited manner. 3/18/2014 Some sample forecasts here. 3/17/2014 Distribution by Saildocs by end of March here. The Southbound Evening Net has been in contact with NOAA for several weeks now to see if cruisers in this area of the world can access more detailed coastal forecasts than have been available up til now. And the news is quite promising. 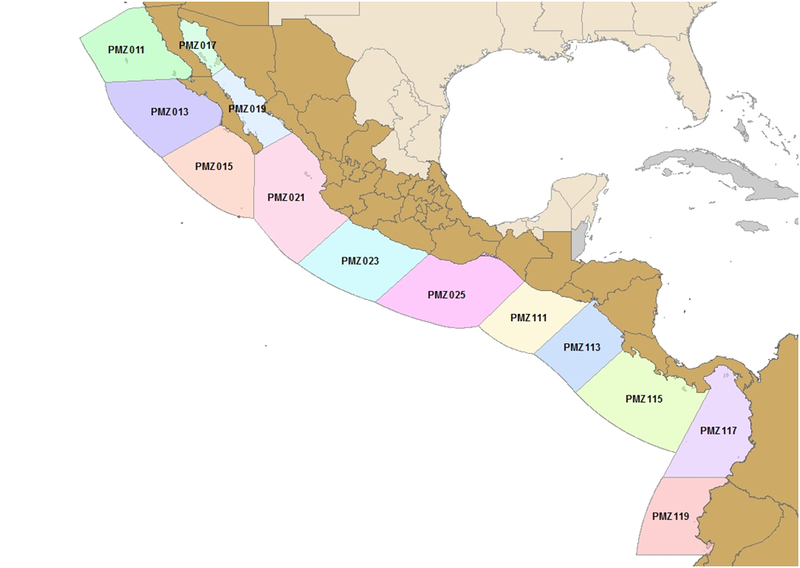 Starting (hopefully) and the end of February, 2014, the federal agency will be launching a trial period of a new forecasting service that covers the East Pacific coastline from San Diego to Ecuador. NOAA’s new proposed Offshore Waters Forecast will provide a detailed 5 day forecast. If you are interested in participating in the trial, please fill out the contact form below. NOAA wants to receive feedback during the trial period in order to fine tune the zones and make it useful to mariners.